As the light got brighter I switched from using my ND8 grad to the ND4 and eventually an ND2 (for my castle shot a couple posts back). I always work in manual for my landscape work and so continuous reassessment of light levels is needed to get a good and balanced exposure to ensure the atmosphere of the scene is not lost. 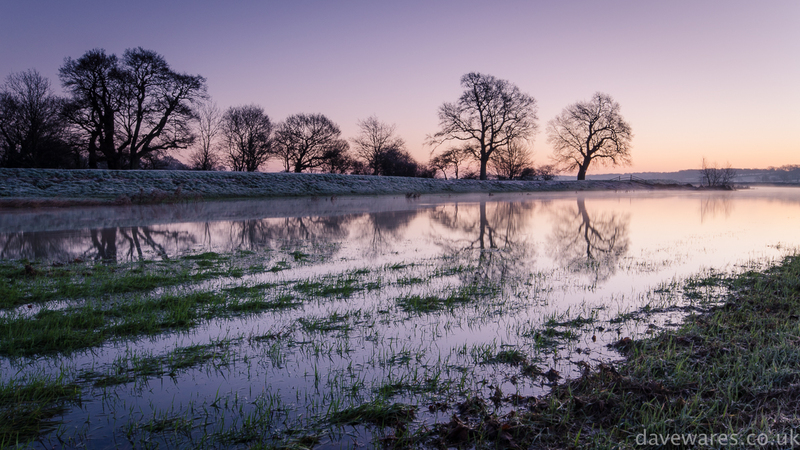 It was in this location that I had the most difficulty with frost forming on my filter due to being down a bank with the mist rising from the river. As usual, more cloud in the sky would have been nice. It’ll all come together eventually.